Hello everyone and Happy Fourth Of July to you! How are you spending this special day? 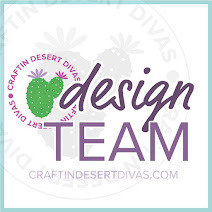 It's almost too hot here to do much of anything outside, so I'm thinking I'll just spend my day in my craft corner! My hubby is being the chef today and has ribs, mashed potatoes and fresh peas lined up for the menu. I think it will work out for the best if I just stay outta his way and let him do his thing in the kitchen and on the grill! 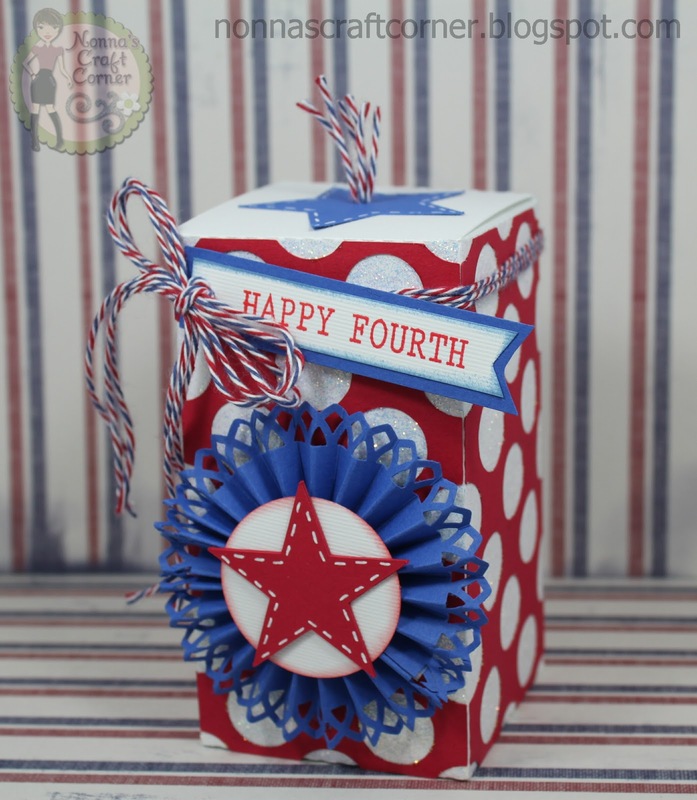 I came across this cute little "3D Firecracker Box" by Lori Whitlock in the Silhouette Online Store and knew that I had to whip this one up! It really goes together simply and quickly. I could have made things easier on myself by cutting the box out of glitter paper. Instead, I cut it from white cardstock, added the red layer with the circle cut-outs and then added Stickles to each cut-out! This took way to long to dry, but it did turn out kind of cute and sparkly! I created the blue rosette by using a Martha Stewart paper punch along one edge and fan folding a 1.5 inch strip of blue paper. I punched a white circle for the top and cut out a star from the Silhouette Online Store. The sentiment is from the My Pink Stamper stamp set "Happiest Moments" and I cut the banner out by hand. A bit of happy red, white and blue twine, a few stitches with my trusty white gel pen and there you go! Ok, so that's it for me today! Thanks so much for stopping by and I hope you enjoy your day! Great Little project Tanya! Have a Great 4th! Excellent job...saw that cut and thought about picking it up. Super cute! Glad to see your Cameo getting some lovin'! Wow, your box is wonderful! Can't believe you glittered up all those circles! Love how your rosette turned out. 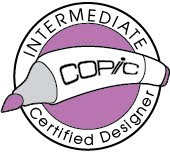 Thanks for entering it in the DCD challenge this week. 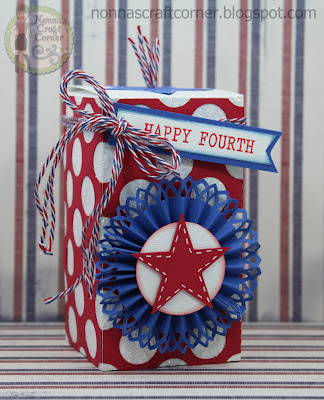 Enjoy your day!--Pat N.
TFS and hope you have a GREAT 4th of July!! That's very pretty! Love the sparkle peeking through the red! The rosette with the star was a great addition!!! I was thinking about making one of these today, maybe after I do a craft with the kiddos. Hope you have a wonderful 4th! Tanya, Happy Independese Day to you. Enjoy the ribs and things. 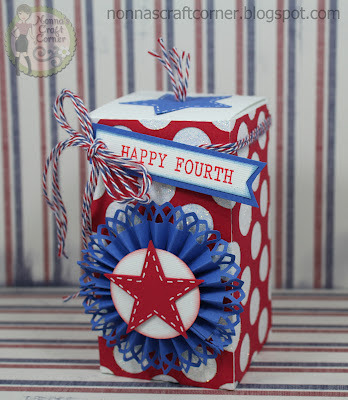 I love this firecracker box, it's wonderful. This is great Tanya! Have a safe and Happy 4th! You did an AMAZING job on this Firecracker Treat Box!!Awesome!! Thanks for joining us at Die Cuttin'Divas this week. Oh my goodness, this is just way to cute!! I am sure Emma will love it:) So fun and festive for the 4th. Cute, cute!! This is super cute. Love the rosette. Perfect for the holiday. That's adorable. Emma will love it. That is so cool. What a great project! 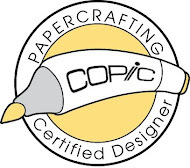 Thanks for playing with us at Paper Playtime! :) Janis P.S. I'd love you to play over at my other challenge blog, Pause Dream Enjoy Challenges, where there's a new challenge every Friday! Make me smile even though I don't get any of the candy ;). Love your rosette and the way it looks like a firecracker. I don't know why I have yet to make a rosette. I have to get on that. Thanks for joining my challenge this week Karen. I am in awe of this! LOVE IT! You are simply fabulous!! This is STUNNING!!! I love it Donna!! !